Unified commerce, extremely flexible logistics, and artificial intelligence will affect your way of doing digital business in 2017. We have selected three trends that we think will have the biggest impact on e-commerce this year. 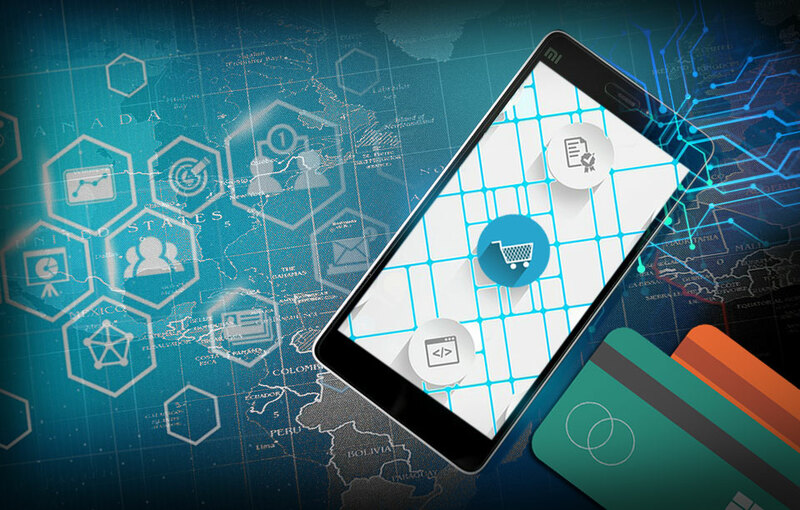 Unified commerce, the ability to connect all channels and deliver seamless and optimized customer experience in every touchpoint, is the ultimate goal for most retailers. As with the omnichannel strategy (where e-commerce and traditional commerce merge into a single point of strategy and execution) the goal is to communicate with customers consistently across channels. However, unified commerce focuses on the unifying platform that links all touchpoints together in real time, creating at the same time a convenient shopping experience for the customer and streamlining business processes for you as a retailer. The key is to collect, process and utilize data in one unified platform. Danish furniture brand Bolia is a compelling example. Bolia offers customers an integrated offline and digital experience in every touchpoint by utilizing the same powerful commerce solution in every touchpoint. It is the same solution behind the customer experiences when she is browsing on her iPad at home as when she visits Bolia’s physical stores and browses the product assortment on the in-store information screens. The sales staff are also equipped with iPads so that they have access to Bolia.com at all times and can provide the customer with an overview of the full product assortment. This approach to commerce architecture is already trending, and in 2017, we will see more and more online retailers who unify their digital approach with physical activities. At the moment, many of the biggest international digital pure-players are opening physical stores and showrooms. Companies like Amazon, Spartoo, Alibaba, and Warby Parker who have built up a customer base online are now establishing physical stores. These companies have understood the importance of a physical presence and proceeds to succeed by providing a seamless customer experience across channels. They understand that the secret to success lies in a well-executed fusion between online and offline. Digital commerce has advantages such as ability to offer a greater range of products with the efficiency and comfort of your own home, while the physical stores offer superior customer service, interaction with the brand and the opportunity for returning products ordered online. Logistics and the delivery experience will continue to be an important differentiator in 2017. A smooth fulfillment and return process is important in terms of meeting customers’ expectations. Today’s consumers demand both choice and flexibility when it comes to receiving their online orders. Drone delivery might still not be common in 2017, but drop shipping, same day delivery, local drop-off-points and click and collect are increasingly popular. Consumers want to manage their own time and avoid shipping fees. Rather than waiting for a delivery, the consumer will order products online and pick them up from a convenient location – in your store, at a collection point or at the nearest warehouse. The same flexibility is crucial for the return options that must be convenient and, for example, include a shipping label or a service that allows customers to return or exchange products easily in a physical store. AI is beginning to take off as technology continues to improve through highly available cloud services. As the amount of available data increases, it becomes necessary to make use of artificial intelligence to break down data, learn from it and make automated predictions. AI have the power to analyze excessive amounts of data and provide accurate and relevant predictions about user behavior. Many online retailers already use machine learning to recommend relevant products to the customers based on their own and other users’ purchase history and online behavior. This technology will develop and become even smarter in the future, thus providing a solid ground for better customer experiences. Visual search and image recognition is also an AI driven feature that allows customers to upload an image and find similar products based on color, shape, size, and brand. One of the most popular current new-comers are chatbots. Artificially intelligent platforms that simulate human conversation by answering questions via chat. The use of chatbots is an efficient way of interacting with customers around the clock and in real-time – and most importantly on the very social media where the customers are already conversing. Brands like H&M and Victoria’s Secret already use chatbots for customer service, while Burger King and Pizza Hut take food orders through the use of bots on Facebook Messenger and Twitter. Another great example is the airline KLM, who use chatbots to send customers boarding cards etc. directly through Facebook Messenger. Customers can also ask the chatbot things they would normally ask KLM’s customer service. We will, no doubt, see a lot more of chatbots in 2017, but they are still an emerging technology and it remains to be seen how effective they will be. However, chatbots will likely develop and become better to gather information, understand context, and anticipate needs and as such creating more personal experiences for your customers. Digital processes and brand building anno 2017. Customer loyalty and how to reach the end user. Leadership management – how to translate the force of ones workforce into sales. Something old/something new, product and concept innovation in praxis. Walk me through – Customer Journey development.